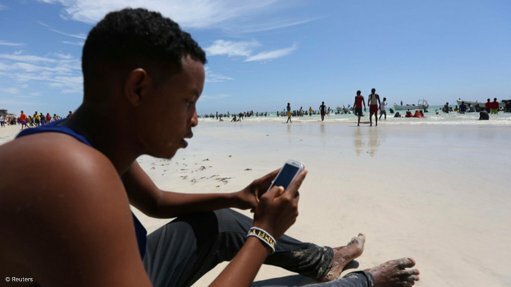 Parliament has failed in their efforts to stop the profiteering of MTN, Vodacom, Telkom, and Cell C.R2K notes on Youth Day 2017 that South Africa’s young people continue to suffer from the high cost of communication – a major issue when it comes to their right to access information and freedom of expression. Tomorrow R2K and our allies will be hosting a mass meeting in Khayelitsha, Cape Town demanding access to telecommunications. We reiterate the call that data costs must fall! Airtime costs must fall! We call on telecommunications companies to stop ripping off the people of South Africa and bring down the cost of communications, and we call on ICASA (the regulator) to take action to force these corporates to start listening to the voices of young South Africans by bringing down costs. Mobile operations have ignored the deadline issued by Parliament’s portfolio committee on Telecommunications & Postal Services last year for data prices to fall by November 2016. According to the State of Information and Communications Technology report there has been no significant change in data prices. South Africa’s cost of communication remains unacceptably high as telecom cartel continue to hold our economy and democracy (our right to know in particular) hostage. R2K believes that a big part of the solution lies in a bottom-up approach like that of Zenzeleni Networks, a model for community-owned telecommunications, where any community can provide themselves with voice and data communications at a fraction of they are currently paying. Through this model, the community of Mankosi in the Eastern Cape has built and maintains its own telephone and internet “company”, which offers free local calls and calls to other networks at half the cost of commercial rates. Data costs a tenth of the market price. Sadly, potential competitors including community owned service providers like Zenzeleni are hampered by ICASA’s policy of only issuing Mobile Virtual Network Operator (MVNO) licences to applicants who have a “piggyback” deal with one of the cartel members – in effect giving veto power to the incumbents. R2K demands that all MVNOs have unconditional access to bulk prices on any network of their choice. We also welcome ICASA’s recent admission that their regulation of the wholesale prices (interconnection rates) have failed to reduce communication costs – and their commitment to review and strengthen these regulations in the coming months. It is clear that the politicians are populists most of whom are captured by corporate interests and will not advance the struggles of the oppressed. In the spirit of June 16, it is up to the people to organise, rise-up and claim the right to communicate. We call on ICASA to force MTN, Vodacom, Telkom and Cell C to slash their prices with immediate effect. We demand that ICASA becomes responsive to the needs of citizens, and youth in particular. Young people are the majority in South Africa and have the highest rate of unemployment. Access to data is essential to their education and employment, as well as their right to be informed citizens. We also urge youths to look to community telecommunications networks as a path to self-empowerment.